Supports the LaFontaine fly-tying technique!!! This dubbing kit has 12 colors of dubbing each in its own package and in its own pocket inside of a heavy-duty, Cordura pouch hand made by Gretchen Beatty. There are 6 colors of Double Magic Dubbing and 6 colors of Soft Touch Dubbing. Those colors are DM =cream-2, olive-20, ginger-3, black-23, brown-15 & gray-22 while the colors in ST = peacock-26, purple-12, orange-8, red-7, brown-14 & olive-20. INCLUDED with the dubbing are BT's Tacky & BT's Super Tacky dubbing wax (1 tube of each) in a storeage tube for the wax OR for thread. Price is $35.00 for the complete kit OR $17.00 for the Cordura pouch. SH is usually about $3.75 in the continental USA. See the LaFontaine book below for tips on using this dubbing. Here is another heavy-duty Cordura pouch (black) made by Gretchen Beatty with 44 elastic loops to hold your personal tying tools. We include with the pouch 10 of our favorite tying tools. They include 2 flared standard bobbins, rotating hackle pliers, threader/half-hitch, hackle gage, brass hair stacker, gold-handle scissors, bodkin, rotating whip-finisher and a rotating dubbing loop tool. Price is $40.00 for the pouch + 10 tools OR $20.00 for the Cordura pouch. SH is usually about $3.75 in the continental USA of the pouch only and a bit more full of tools. If you want to fill the empty loops, check the tools section of our catalog to turn your tool kit into a DELUXE fly tying tool organizer. If you are like us, you've already found traveling with (or storing) beautiful Whiting saddles can be tough on the feathers. So Gretchen built us several heavy-duty, Cordura hackle wallets sized (6.25" X 16.5") long enough to protect those beautiful feathers. You can slip 3 or 4 packaged saddles (or capes) inside OR Al's has managed to get as many as 8 saddles/capes in his wallet when they are removed from the package before placing them inside. Price is $15.00 for the wallet. SH is usually about $3.75 when shipped in the continental USA. But It IS SO Good!!! 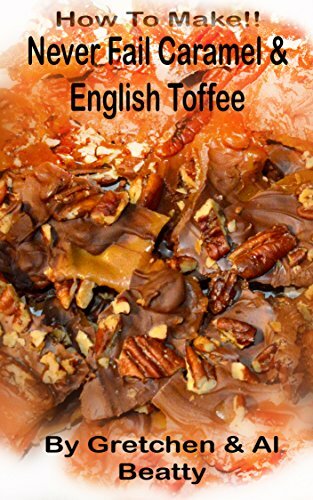 When you follow the simple recipes and instructions in this professional level book you also can make never fail peanut brittle and several variations. Gretchen's candy making education got its start at the young age of six when she attended her first candy making school with her mother and aunt. The aunt (and her husband) then went on to operate a candy store in Anchorage, Alaska for many years named Alyeska Candy Kitchen. The recipes in this simple-to-follow e-book are the product of Gretchen's aunt's and mother's never-fail recipes and those Gretchen developed herself over the years. There is one recipe Al brought to the book called Al's EZY Bachelor Peanut Brittle that he used to make in a microwave oven before he met and married the girl with the professional candy making skills - Gretchen! He made it for the first time in 25 years to shoot the pictures in this book and the results were as good as they always were in years past. 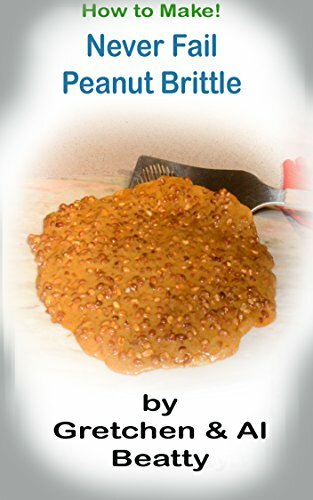 If you want to make perfect Peanut Brittle or any of its many variations AND learn the roll elevation plays in the equation, this is the e-book for you! Type "Gretchen Al Beatty books" in the search engine box. Do you like candy? Toffee? Caramel? Almost every one does including the authors, Gretchen & Al Beatty. Many years ago, six-year-old Gretchen's first introduction to making candy was when she attended a professional candy making class with her mother and aunt. Soon her whole extended family became candy makers including an aunt and uncle who opened a full-time candy shop in Anchorage, Alaska called Alyeska Candy Kitchen. The author's series of candy making e-books are a reflection of her talent as a writer; subsequent years of observation, practice, and innovation; and Al's writing, photography and editing skills. Learn to use the Danvise with this great Book by the Beattys. After using inline rotary vises for a number of years it finally became quite clear that almost all tiers who owned such a vise really didn’t understand what this awesome tool could do. So we decided to do something about it. 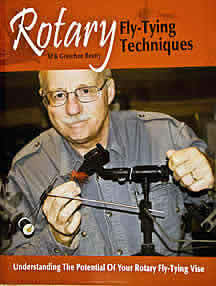 First there was the DVD, Rotary Tying TechniquesSeveral years later we finished the book, Rotary Fly-Tying Techniques. ONLY $24.95 Get your signed copy today!! SH is usally about $6.85 via Priority Mail Flat Rate Envelope. DANVISE EXTENSION ARM: The Danvise is a product our company used to distribute for a manufacturer located in Denmark. It is a reasonably priced, inline rotary vise. We’ve used it for years as part of our commercial tying business and it has served us well. We also are the ONLY source in the US for the Extension Arm that is also resonably priced. It's important to install the Extension Arm correctly. Click here for those instructions. PARTS: Click here for a Danvise Parts List should you need to identify a replacement part with LeRoy Fly Tying & Supply. REPLACEMENT JAWS: If you need a set as a replacement for a defect contact LeRoy Fly Tying Supply (the new Danvise Distributor for the USA & Canada) or e-mail them at dleroy@leroyflytying.com. Vise and Jaw Adjustment: Here is a 12 minute video on adjusting the vise. The jaw adjustment sequence in near the ten minute mark. We offer our 36-chapter, template for you to use when you write your fly-tying or other illustration intensive e-book. Below are the two MS Publisher 2007 Templates you'll need to publish a print-on-demand paperback book on Kindle (Amazon.com). The cover tempalte is designed for up to a 125 page book - adjust the spine (wider or narrower) based on the size of your book. The 48-page book template's page count can be easily changed by either adding or subtracting pages as needed. We suggest adding them in units of 2 at the end of the book if your paperback will be more than 48 pages long. Deleting or adding pages will also increase or decrease the page count. 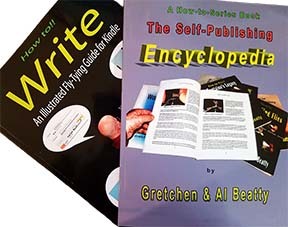 Recently published, A How-to-Series Book, The Self-Publishing Encyclopedia AND How to! 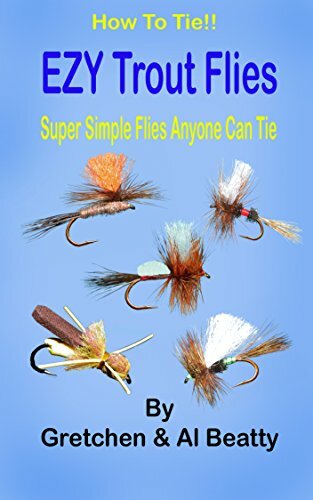 WRITE An Illustrated Fly-Tying Guide for Kindle. If you've ever dreamed of being a published author but didn't know how to get started OR how to navigate Kindle's pitfalls then one of these book are for YOU! If you are only interested in writing an eBook for fly tying or any other book with many photographs, then WRITE is the book for you! BUT, if you want to expand your horizons and write paperback print books, eBooks, produce audiobooks and quality online video, etc then The Self-Publishing Encyclopedia is for you! We spent several years learning about those pitfalls, how to avoid them, and how to fix them. Included in it we review the required Kindle templates (free at the bottom of this page); photography and editing for Kindle; how to make a cover for your book; and take you step-by-step through the Kindle publishing process. If you are interested you'll find it at https://www.amazon.com/ type "Gretchen Al Beatty books" in the search engine. The cost varies depending on which book you want and whether you want it in a electronic or paperback print version. Here NOW, a brief audio MP3 file reviewing the two self-publishing books. This is a first in a series of fly-tying books that teaches the reader how to tie a single discipline and do it well. In this book, the reader will learn how to tie Wonder Wing flies from soup to nuts so to speak. You will learn how to "manufacture" the perfect set of wings in much less time than it takes to "locate" them by searching through a bunch of feathers or a neck. Have you noticed how elusive the perfect set of wings can be to find? That will never again happen when you can "make" them quickly using large size cape feathers, pheasant body feathers, mallard, blue-eared pheasant, etc. The book leads the reader through a standard Wonder Wing application then teaches how to improve the design to provide a better on-the-water experience. Most of the flies illustrated in the book are divided, standing-up wings, but it also includes the same wings with a parachute hackle application and a range of Trude-style wings. It will improve your fly tying experience AND get you on-the-water faster. Get this book via eBook download for only $4.99 or $19.99 for a paperback version at Amazon.com. Type "Gretchen Al Beatty Books" in the search engine. Many fly tiers learn to apply dubbing using as many as three techniques to apply those loose, pesky fibers to a hook shank. The information in this book can lead any tier to the next level of expertise by learning to use LaFontaine's style of touch dubbing; to use dubbing and glue to make extended bodies; to use raw-fiber dubbing, and the list continues! This book will make your flies look better, appear professional, and be more durable. Within these pages, the Beatty's bring a wide range of fly tying knowledge using their more than 100 years of combined fly tying experience and their crystal clear macro photography. The information herein has something for every tier at every experience level. You won't be disappointed! To get your copy of the e-Book go to www.amazon.com then enter "Gretchen Al Beatty books" in the search engine or go to this link. The cost of the book is $3.99 for an eBook download or $19.99 for a paperback version. Mastering the instructions in this book will take an aspiring fly tier from total novice to advanced amateur in just a few short pages. 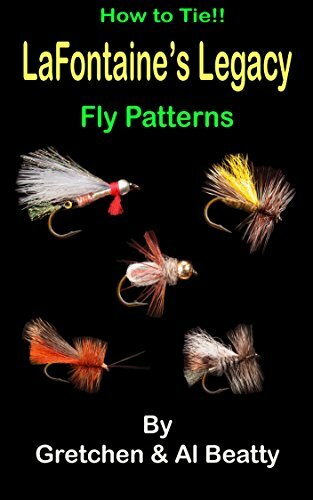 The early chapters provide the reader with a solid understanding of the tools, techniques, and materials to construct seven foundation fly patterns. What is a foundation pattern? It is a fly that not only teaches an important fly-tying skill but also provides a basis from which to build an exciting fly box of patterns attractive to the angler and the fish alike. For example: The Hare's Ear Nymph is a pattern that with a little adaptation and ingenuity will satisfy 80 percent of any fly fishers nymph fishing needs. All the tier needs to do is change colors and materials to fit a wide variety of fishing situations. The seven foundation patterns include the Woolly Worm, Gray Hackle Yellow, Montana Nymph, Hare's Ear Nymph, Post Wing Mayfly, Elk Hair Caddis, and the Marabou Streamer. The skills learned on each fly are used again on the next along with a new technique. Building skills upon skills is the backbone of this book AND for a successful fly tying career. The Beatty's have more than 100 years of fly tying experience and thousands of skilled students to their credit. Why not join the group and learn to tie flies the easy way? The Beatty way! To get your copy of the e-Book go to www.amazon.com then enter "Gretchen Al Beatty books" in the search engine or go to this link. The cost of the book is $2.99 for an eBook download or $19.99 for a paperback version. Many fly tiers consider constructing flies from animal hair to be difficult and very honestly they are not the easiest patterns to produce. However, we offer you an alternative - the EZY Trout Flies in this book (paperback or electronic version). 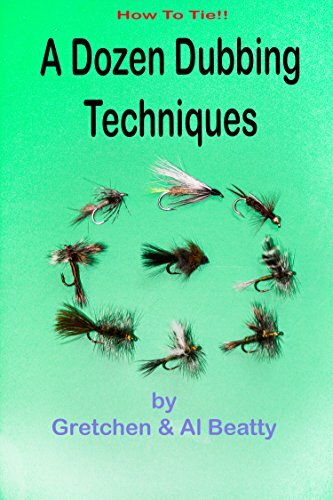 Within these pages, we will show you simple techniques and materials to tie flies that look the same as their more difficult to construct cousins like Humpies, Wulffs or Trudes. The techniques are easy to learn and should benefit any tier should they decide to go for more advanced patterns. That said, as far as the fish are concerned they like the flies just fine. If interested, go to www.amazon.com then type "Grethcne Al Beatty books" in the search engine box. It's only $4.99 for an eBook download or $19.99 for a paperback version. We just re-published our Hair Wing Flies book as a downloadable e-book or as a print paperback book. If you struggle with Humpies, Wulffs, Trudes, etc. then this book has the information you need!. The most important thing you'll learn from it is how to select the proper hair for the pattern you want to tie and then how to easily apply it to the hook. If your hair wing flies tend to end up looking helter-skelter and not close to what you had hoped, then this book is your solution to a good-looking hair wing fly! If interested, go to www.amazon.com then type "Gretchen Al Beatty books" in the search engine box. It's only $4.99 for an eBook download or$21.99 for a paperback version. We were very pleased to count Gary as one of our many friends. We worked on several projects together including a series of videos we produced under his direction. He even asked us to refine our BT’s Dubbing Wax and we developed the Super Tacky formula for him. We were honored when he asked us to publish his last flies; it was his final request of us. Here is LaFontaine’s Legacy a book of the last patterns from the master of fly-tying innovation, Gary LaFontaine. This is the ONLY printed list of recipes of ALL 12 Double Wing patterns Gary developed over the years. Use it with our compliements. Available at www.amazon.com >>then enter "Gretchen Al Beatty Books " or the book's title in the search engine. Download is just $7.99 or $24.99 for a print version at the Amazon web site. 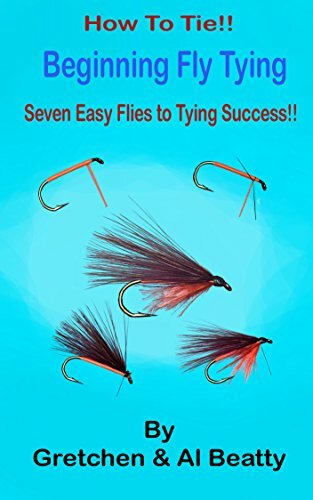 A NEW Concept in fly-tying e-books. Download the complete instructions for a single fly for about the same price as that fly would cost you in a flyshop. The result is an almost endless supply of that pattern for one download price. We call them the "Two Dollar (2D), One Fly Series" of e-books. Parachute flies are nothing new but a parachute made using Wonder Wings really IS!!! Making those flimsy wing hackle fibers strong enough to support a parachute hackle application is a real challenge. We'll show you our technique that makes it a "piece of cake" while producing a great looking pattern. To get your copy of the e-Book go to www.amazon.com then enter "Gretchen Al Beatty books" in the search engine. The cost of the book is $1.99 for an eBook download.